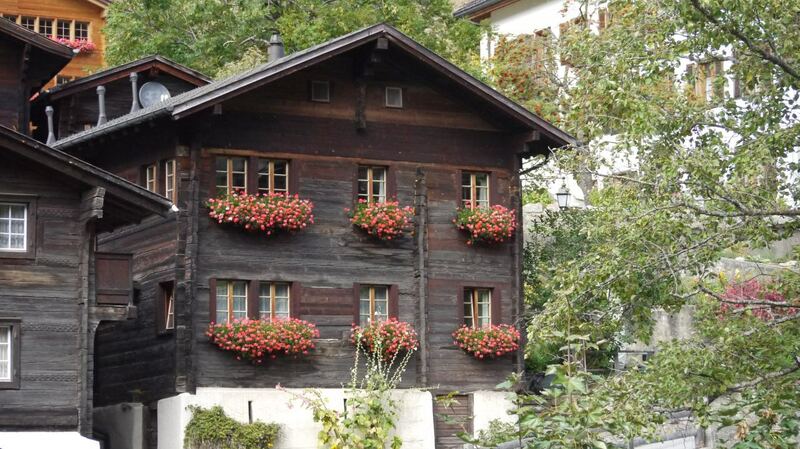 Engstlenalp is different to Rosenlaui so it's worth to visit both. Great pics you've got there...and I can imagine the timber-smell of that "water"-saw, it's incredible how long Arven-timber holds its smell. My mum got a small Arven-timber chest made in Pontresina/ Engadin/ St. Moritz area....and 55 years on, this thing still knocks you out when you lift the lid. 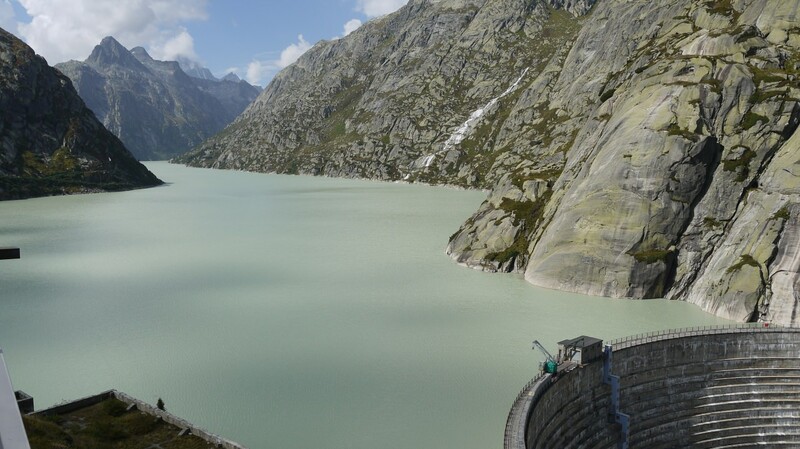 Grimsel next.... and a peek at the Oberaar-Road? great stuff, please keep them coming. IMHO its the most beautiful part of the world! Thanks for waiting for the rest. If it is the most beautiful part of the world I can't tell. But for sure it's a veryyyyyyyyyyyyyy nice one! I stood in front of the traffic lights of Oberaar Road and by looking on the clock I decided it is a road for the next trip. I didn't know that they have one way time slots. 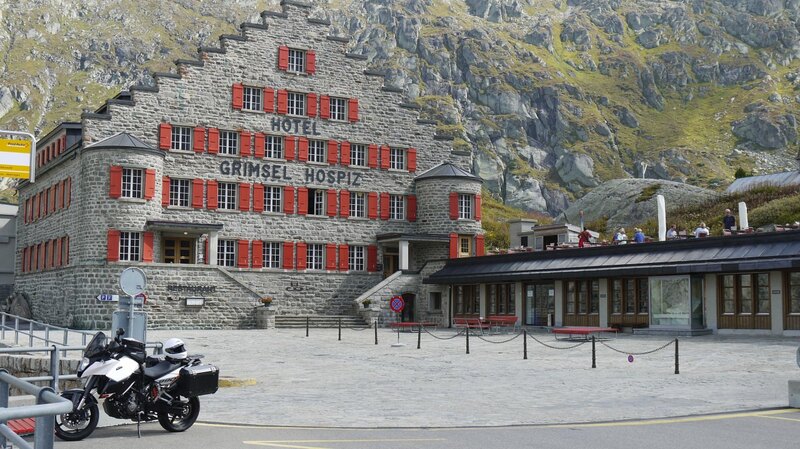 As I said next is Grimsel Pass. 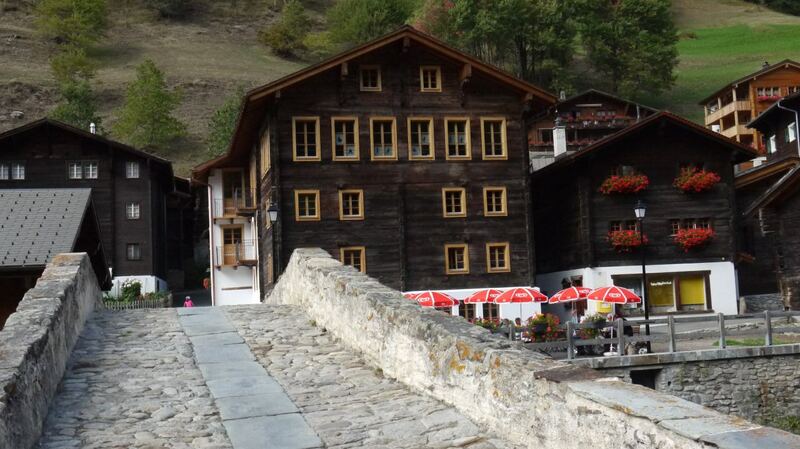 While running up to the Pass you can make a little side step to the Grimsel Hospiz. I walked around and saw the realy grey water of one of the barrier lakes. I also went into the free entry museum of the hydroelectric company. 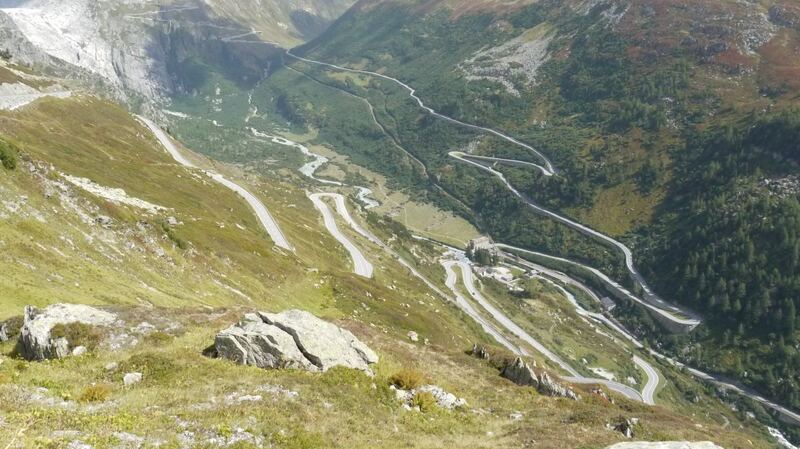 And by doing so I probably missed the time slot for the Oberaar Road, which you can go from the top of Grimsel Pass. So down the other side into the Wallis. 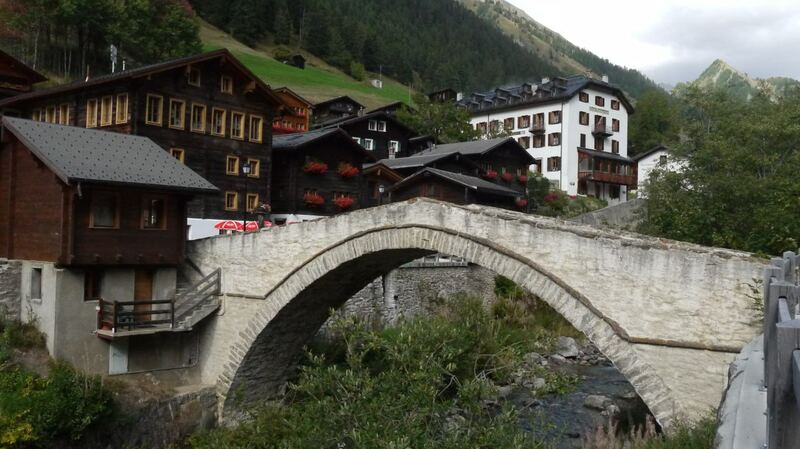 In the pic you can see down in the valley the road starts up Furka Pass. But I wanted to go into the direction Leukerbad, so I turned right at the bottom. After some time the big road on the valley floor turned boring. Hey looks interesting that tiny line on the Garmin. 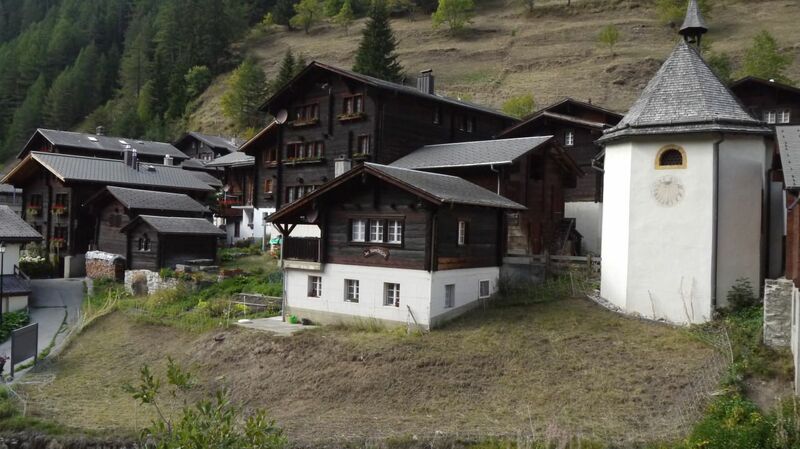 So just after the small Village of Fiesch I turned into Binn Tal. After some km you enter a small but straight tunnel. When you are through the scenery has changed wide and open before, now it's a quite narrow valley. And of course its a single road. 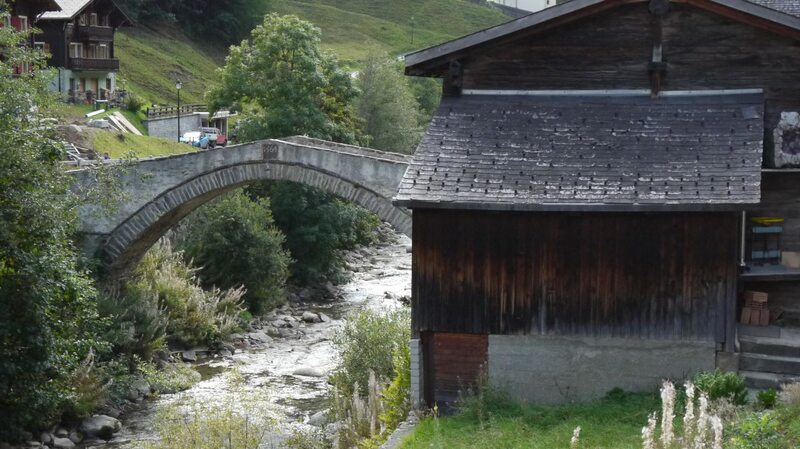 Unfortunately the trafic stops in front of the bridge to the last village Faeld. but there is a good place to rest and kill some time. 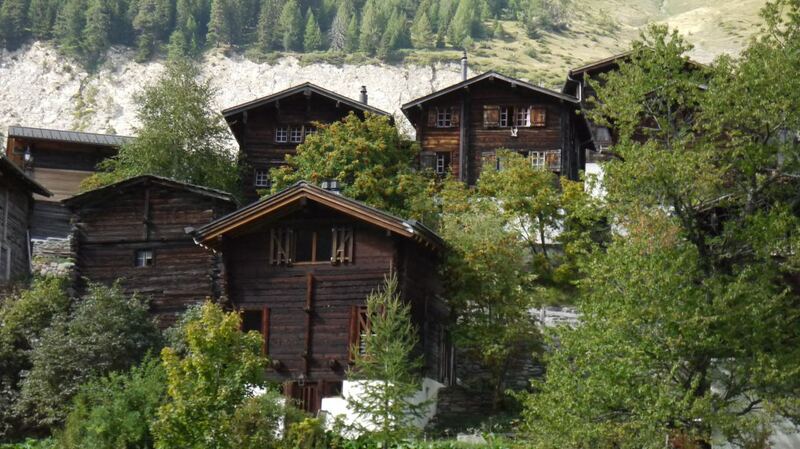 The black old wood of the houses in the Wallis is amazing. This is Faeld. Further down are more nice houses. 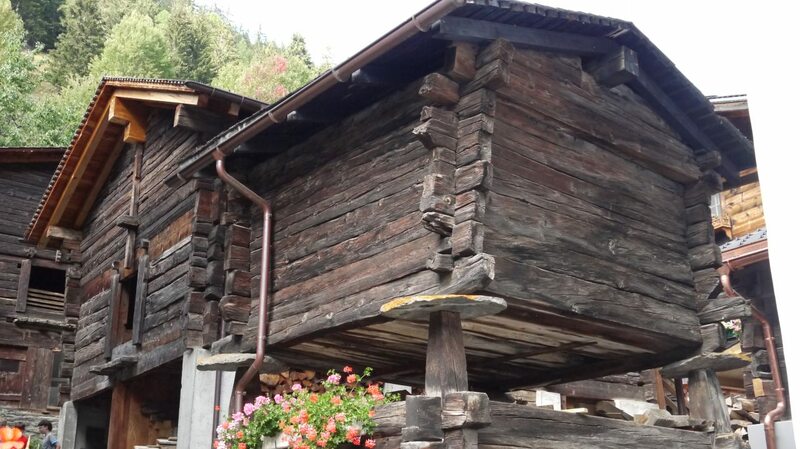 This has different coloured wood, probably they topped up the upper floor some years ago. This storage is well protected against nasty hungry bastards. And they have an old bridge too. Little did I know that a more spectacular bridge was waiting for me. Ok lets go, time to roll. Thanks, some Cols are still on the list.